A lifelong passion for gothic novels led Sara Collins to give up a career in law and test her mettle as a fiction writer. 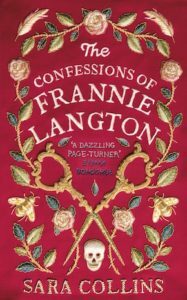 We catch up with her in the midst of a whirlwind US tour ahead of publication of her hotly anticipated debut The Confessions of Frannie Langton. I’m in a hotel room in New York just coming to the end of the most wonderful tour of American booksellers arranged by my US publisher, HarperCollins. I’ve been to D.C., North Carolina, Boston, San Francisco and New York all in the past seven days! In bed with my laptop propped on my lap (on a pillow). It’s the only way to avoid the intense back pain I get when I sit for long periods. I call it writer’s back. It has to start with really good coffee. Then I read a poem, or several, which is like touching a live wire of creative energy. Then comes warm-up music: a good dose of Kendrick Lamar or Damian Marley, before switching to a quieter playlist for the writing itself. Full-time, and I still can’t believe I get to say that. Keyboard. And the notes usually start with the notes app on my phone. I try to keep notebooks but I never have them with me. I usually have my phone. The words ‘relax’ and ‘writing’ don’t really go together for me. I’m really neurotic while working on a piece, no matter how long it takes. I was anxious for two straight years while writing my novel. How would you pitch your book in up to 25 words? A Jamaican woman in Georgian London is accused of murdering a natural philosopher and his wife, with whom she’s been having an affair. I believe you have to start by writing for yourself. If you write for some imagined audience it will become too restrained. Whenever I thought about someone else reading the book, there were things I’d instantly want to take out, but those are the very things that take the book where it needs to go. You really have to write the book you want to read, as Toni Morrison said. My work in progress is always an ugly mishmash of ideas and scraps that I begin to doubt I will ever be able to pull together. I only ever share it with my husband. He’s a good sounding board. Celie, The Color Purple. A masterpiece of voice. But then it would no longer be that book, it would be the different and no doubt inferior version I had written. I loved André Aciman’s collection of essays, Alibis: Essays on Elsewhere and I utterly adored Call Me By Your Name. How to Love a Jamaican by Alexia Arthurs, Mouth Full of Blood by Toni Morrison. I know I ought to read Ulysses but I know I never will. As physical objects, a first edition of Beloved which a friend bought for me, and a cloth-bound set of Brontës my UK editor gave me as a signing gift. The Good Son by You-jeong Jeong, translated by Chi-young Kim. Collections I love are Lucia Berlin’s A Manual for Cleaning Women and Jennifer Egan’s A Visit from the Goon Squad (I’m calling it a collection rather than a novel). I just bought Lanny by Max Porter. I’m indulging another one of my obsessions by writing a novel about a suicide cult, set in the Caribbean in the eighties. Jane Austen, Charlotte Brontë, Zora Neale Hurston, Alice Walker and Toni Morrison (I hope they’d all get along). And James Baldwin, because everyone would adore him. V.S. Naipaul would be invited to join us, but only so we could give him a piece of our minds. He would not get any supper! Singing – if I could hold a single note. I’d be channeling Nina Simone or Etta James. Sara Collins studied law at the London School of Economics and worked as a lawyer for seventeen years in Cayman. 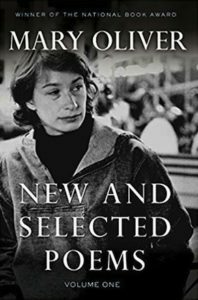 In 2014 she embarked upon the Creative Writing Masters at Cambridge University, where she won the 2015 Michael Holroyd Prize for ‘Recreative’ Literature and was shortlisted for the 2016 Lucy Cavendish Prize for a work-in-progress inspired by her love of gothic fiction. This evolved into her first novel, The Confessions of Frannie Langton, out now in hardback, eBook and audio download from Viking/Penguin.